An auto dealership group owned by former NFL Pro Bowl stars is being accused by Nissan and Hyundai of being a “house of cards” held together by questionable sales at several of its locations, according to Automotive News. Owned by former New York Giants linebackers Jessie Armstead and Antonio Pearce, five of the auto group’s dealerships are accused in multiple lawsuits filed last month of having sold nearly 500 vehicles worth more than $10.5 million out of trust, reports Automotive News, meaning the cars were paid for with a loan to the dealer but the loan wasn’t repaid by money obtained through the sale. 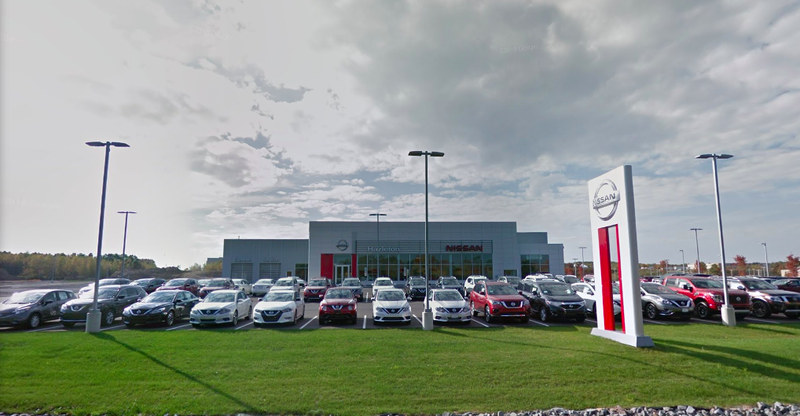 The turmoil represents a major fall for a group of dealers who just two and half years ago were touted by Nissan North America as a major part of the automaker’s ambition to grow market share in metro Detroit. The ownership trio opened All Pro Nissan of Dearborn, in Michigan, in 2015 and All Pro Nissan of Macomb, in Clinton Township, Mich., in 2017. The multimillion-dollar Dearborn dealership is decorated with memorabilia from Armstead and Pierce’s days on the football field. They also own Hazleton Nissan in Hazle Township, Pa. It appears legal trouble for the dealership group began July 30 in Pennsylvania when audits by Hyundai Capital America showed discrepancies at the Hazleton Hyundai and Hazleton Kia stores, according to court filings. A week later, the problems spread to Michigan when NMAC audited the trio’s Nissan dealerships, identifying more than 400 vehicles financed by the captive that could not be located. In lawsuits filed in county courts in Michigan and Pennsylvania in August, NMAC said it is owed more than $9.5 million for vehicles it alleges were sold out of trust. The dealership group may’ve been attempting to double-dip on floorplan financing, Automotive News reports. The company has denied all the allegations in court, the news outlet says. Updated: The headline and post has been amended to clarify that the accusations against the dealer are that it defaulted on loan agreements and is now insolvent.